OKLAHOMA CITY – World No. 1 Jess Lockwood was still kicking himself about his Round 2 buckoff against The King Saturday night despite answering with an 89.5-point ride on Stunt Man Ray away from his hand in the championship round of the Express Ranches Invitational. A ride aboard The King could have had Lockwood in play for a third Unleash The Beast victory in five weeks. Instead, Lockwood (2-for-3, 290 world points) wound up finishing third overall in the event behind Ryan Dirteater and Luciano de Castro. The performance still helped Lockwood increase his lead in the world standings on No. 2 Joao Ricardo Vieira (1-for-3) to 967.5 points. 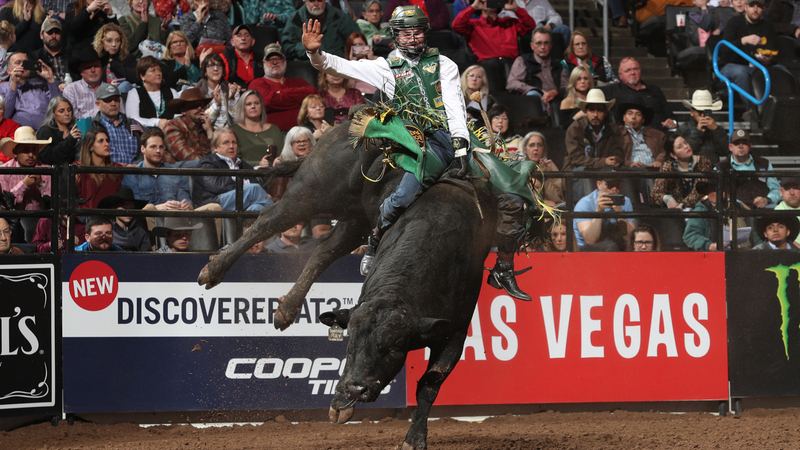 Vieira had begun his weekend with an 82.5-point ride on Sin City in Round 1 Friday before bucking off M.A.G.A. (2.4 seconds) and Bootdaddy.com (3.1 seconds) on Saturday. Lockwood had entered Oklahoma City in a 1-for-5 slump after winning the first two events of the season. The 2017 World Champion got things back on track in Brick Town with 86 points on Yatesy Down Under in Round 1. He then bucked off The King in 6.95 seconds in Round 2 when The King stopped spinning to the left and took a lunge forward. Lockwood said he was happy to come back in the championship round to cover Stunt Man Ray, who was marked 43.75 points, and not head into the 2019 WinStar World Casino and Resort Global Cup USA, presented by Monster Energy, next week in Arlington, Texas, on a buckoff streak. The Volborg, Montana, bull rider leads the PBR with 13 qualified rides on the Unleash The Beast. He is 3-for-4 in championship rounds in 2019. Three of the last five bulls Lockwood has faced in all rounds have been marked 45 points or higher. “Stunt Man Ray is as reliable of a bull you are going to get,” Lockwood said. “I am glad I got that one rode. I was not having the greatest last couple of weekends. Me and (Cody) Lambert talked. Nothing is wrong. I have been drawing some rank ones. Those ones you are going to be 93 or 94 in the long round, I was a second away from riding those.